Dave Foley’s name may be familiar to you because of his football career. His academic and professional credentials are just as solid. 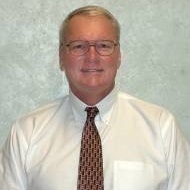 He started Dave Foley & Associates in 1972 specializing in life and health group benefits. The business expanded to include retirement plan Third Party Administration in 1986. The company grew again in 1999 creating Foley Benefits Group, LLC to provide the TPA and group benefits services.